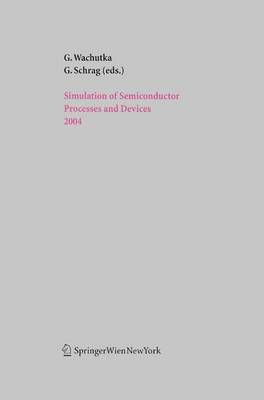 This volume contains the proceedings of the 10th edition of the International Conference on Simulation of Semiconductor Processes and Devices (SISPAD 2004), held in Munich, Germany, on September 2-4, 2004. The conference program included 7 invited plenary lectures and 82 contributed papers for oral or poster presentation, which were carefully selected out of a total of 151 abstracts submitted from 14 countries around the world. Like the previous meetings, SISPAD 2004 provided a world-wide forum for the presentation and discussion of recent advances and developments in the theoretical description, physical modeling and numerical simulation and analysis of semiconductor fabrication processes, device operation and system performance. The variety of topics covered by the conference contributions reflects the physical effects and technological problems encountered in consequence of the progressively shrinking device dimensions and the ever-growing complexity in device technology.